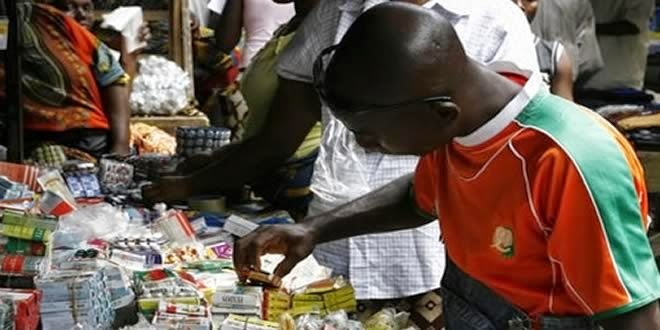 It will no longer be business as usual for dealers of fake and substandard pharmaceutical products as the National Agency for Food, Drug Administration and Control (NAFDAC) has concluded plans to proscribe open drug markets. Consequently (NAFDAC) in Lagos on Tuesday inaugurated the State and Mega Drug Distribution Centres (SMDDCs) to tackle challenges posed by the present drug distribution system in the country. Speaking at a stakeholders’ sensitisation meeting, ahead of the commissioning of Megacentre pharmaceuticals Limited, Onitsha, the Minister of Health, Professor Onyebuchi Chukwu, said the uncoordinated drug distribution in Nigeria had posed a big challenge to the pharmaceutical sector. During the meeting which was organised by NAFDAC to sensitise stakeholders towards the September 3, 2013 commissioning of Mega Centre Pharmaceuticals Limited, Onitsha, Prof. Chukwu said fake, adulterated and sub-standard drugs in circulation constituted a threat to the healthcare delivery system. Prof. Chukwu Onyebuchi who declared an emergency in drug distribution system in the country to address the chaotic situation, said that drugs would no longer be sold in the open market in Nigeria, from June 30, 2014. The Health Minister said: “The aim of the recently launched revised National Drug Distribution Guideline is to phase out illegal open drug markets across the country and we are determined to implement it. Represented by the Director, National Drug Policy Programme, Mrs. Joyce Ugwu, Chukwu traced the present uncoordinated drug distribution in the country to import liberalisation in the early 80’s which allowed all manners of people to import drugs into the country. Bemoaning that Nigeria was still faced with challenges of illegal open drug markets, he announced that the present States’ Central Medical Stores, CMSs, could be used as the take-off hubs for the newly introduced State Drug Distribution Centres, SDDCs. He said: “The main attraction of the new National Drug Distribution Guidelines is that drugs will no longer be sold in open market with effect from June 30, 2014, as manufacturers and importers will channel drugs to only SDDCs, MDDCs and other channels in the provisions of the guidelines, while defaulters will face varying degrees of sanctions. Healthcare facilities at all levels, including private facilities, are guided by the guidelines in their drug procurement activities in order to avoid the current practice that is lacking in professionalism. He further explained that the concept of Mega Pharmaceutical Distribution Centre is ‘based on the dynamics of the commercial and cultural trade practices of having markets delineated for particular line of products.’ According to him, the Mega Drug Distribution Centres are to be securely delineated with customized buildings and conducive environment for the wholesale of drugs. Orhii pointed out that the buildings or shops under the Mega Drug Distribution Centres are meant to be rented to licensed pharmaceutical manufacturers, importers and wholesalers. The NAFDAC boss also observed that the entry of pharmaceuticals into the distribution centre will be controlled and restricted to drugs that have satisfied all NAFDAC requirements for quality and safety. He further outlined the benefit of the effective operation of Mega Drug Distribution Centres, including: ensure proper storage and distribution of NAFDAC registered medicines, promote rational use of medicines, access to quality and safe medicines; provide an audit trail for medicines. Others are to ensure a system of effective recall of medicines as well as provide information on medicine utilization and enhance compliance with medicine laws and regulations.